Medicare’s hospital-acquired conditions program unfairly penalizes large, large urban, and teaching hospitals, according to a new study. 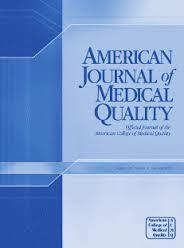 According to “Complication Rates, Hospital Size, and Bias in the CMS Hospital-Acquired Condition Reduction Program,” published recently in the American Journal of Medical Quality, the hospital-acquired conditions program, which last year penalized nearly 800 hospitals, disproportionately penalizes large, large urban, and teaching hospitals because its threshold for identifying poor-performing hospitals is too broad, it relies on results that in many cases are not statistically different, and it fails to recognize when hospital performance improves. To correct these biases, the study’s authors recommend adding risk-adjustment components, such as hospital size, to identify poor performers. Many of Pennsylvania’s safety-net hospitals are large and have teaching programs. Learn more about the study, its findings, and its recommendation in this Fierce Healthcare article or go here to read the study on the web site of the American Journal of Medical Quality. Filed in Medicare, Pennsylvania safety-net hospitals.